Selma director Ava DuVernay is not only a filmmaker in her own right, she’s also a huge supporter of black cinema. For instance, she founded the African-American Film Festival Releasing Movement (AFFRM) as a grassroots way to distribute the work of black independent filmmakers. 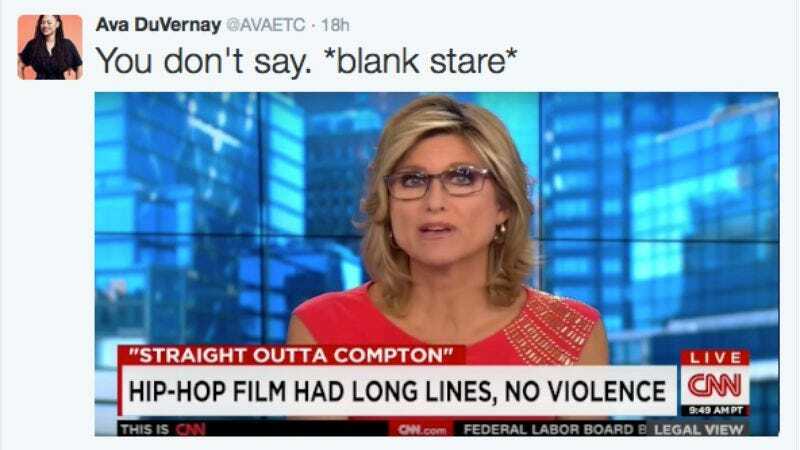 And since DuVernay also happens to be both a native of Compton, California and a hip-hop fan it’s safe to say that Straight Outta Compton is right in her wheelhouse. Those who want to hear DuVernary discuss Straight Outta Compton through a slight different lens should check out her fantastic interview with Gray via the AFFRM podcast The Call-In. Since black directors so often get asked exclusively about identity and culture, the podcast aims to explore the craft of directing. Her chat with Gray touches on everything from casting to directing without a film school background to the nitty gritty of lighting and shooting to the film’s treatment of women.